We've hand built our very own website building and editing platform to give you the power to edit your own website, whenever and wherever you need to. What is the Smart Little CMS? 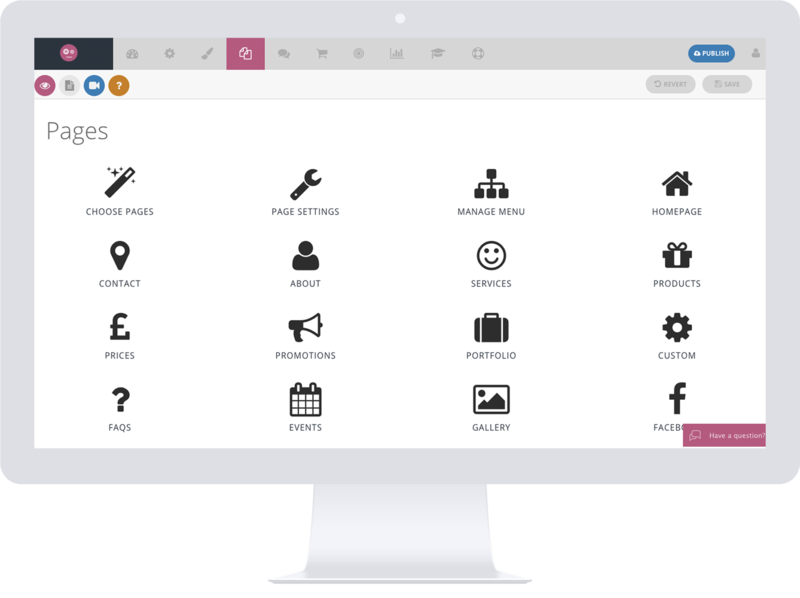 The Smart Little CMS is our very own website editing platform. Super easy to use and accessible from your own home, the SLW CMS gives you the power to edit your website whenever you need to. With email and live chat support to help you out if you ever get stuck or have a question. Why choose the Smart Little CMS? Different to our WordPress website design, the Smart Little CMS is the perfect choice for you if you need a simple website that showcases your business in a professional and attractive light. All Smart Little CMS websites are mobile friendly and give you the power to change your design at any time, as well as edit your website from your own home. Website turnaround time depends on how fast you can pass us your website content! On the whole, the average website design project using our Smart Little CMS platform can take as little as 1-2 weeks. You don't start paying your hosting fee until 45 days after your setup begins. "Smart Little Web are an excellent team, quick in answering queries and efficient in solving issues. The platform is extremely easy to use if you want to update anything on your website, the best I have been on by far. One very happy user here, well done team Smart Little Web, the clue is in the name! :-))"
With over 20 years experience in web development, we've used our web expertise to hand build our very own website building and editing platform, the Smart Little CMS. Our platform gives small business owners like you the power to edit your website whenever you like, with features tailored specifically to small business web design. This means no hidden costs for tiny website edits like the majority of other web agencies.